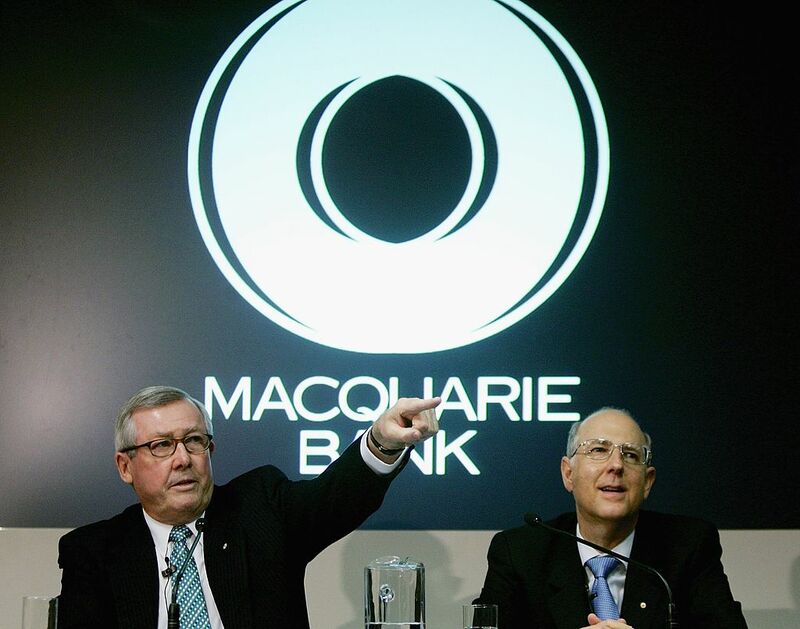 Is Macquarie preparing to asset-strip the UK’s Green Investment Bank? - Unearthed Is Macquarie preparing to asset-strip the UK’s Green Investment Bank? The UK’s Green Investment Bank has created 14 new companies ahead of its expected privatisation this month, according to documents obtained by Unearthed and the think tank E3G. The move has sparked concerns that the bank is being prepared to have its core assets sold off, essentially dissolving the British government’s key mechanism for driving private investment into developing green energy sectors. The new entities – including 10 in just 9 days at the end of November – have all been incorporated and registered in the months since Australian investment bank Macquarie is thought to have become the preferred bidder. Nicknamed ‘the Vampire Kangaroo’ by the financial press, Macquarie has a reputation for ‘asset stripping’ the companies it acquires. The Sunday Times reports that Macquarie is looking to sell off the GIB’s wind and biomass assets, possibly reaping profits of up to 30% from prospective buyers John Laing Environmental Assets Group, Equitix, and the Universities Superannuation Scheme. According to Sepi Golzari-Munro, a GIB expert who analysed the documents, the UK government’s ‘special share’ – designed to ensure the GIB stays fit for purpose – would be rendered moot if there are no assets or investments to keep green. Lord Greg Barker, former Conservative energy minister, has called for the sale to be cancelled, while former business secretary Vince Cable has warned of the dangers of the deal. In a statement, Leader of the Green Party Caroline Lucas – who is running a campaign to ‘save the Green Investment Bank’ – said: “It is astounding to think that the GIB itself has been complicit in a future asset-strip, and Ministers and the GIB must now urgently explain why these changes have taken place. We have reached out to Macquarie and the GIB for comment, and will update if and when they respond. The sale of the GIB has come under criticism since it was announced by then-Business Secretary Sajid Javid in June 2015, with the expected £1 billion price tag (plus £900m in committed capital) thought by some industry figures too low. But politicians from across the spectrum have launched a last ditch attempt to stop Macquarie’s acquisition — ministers and ex-MPs ranging from Greg Barker, Vince Cable, Clive Lewis and Caroline Lucas have taken to Twitter to challenge challenge the sale. The @GreenInvBank I helped established secured billions of investment in green projects now #Gov wants to sell off & stripped by #MacQuarie? If it goes ahead, the sale of the Green Investment Bank would be the first privatisation since Theresa May became Prime Minister last summer in the aftermath of the Brexit vote. It would also represent an interesting direction for a government in the process of putting together an ‘industrial strategy’. The strategy means that UK government will look to be more interventionist in supporting businesses of the future, including low carbon ones. Yet just as they do this, the institution that has taken years to set up and get running, which is demonstrably capable of driving growth in immature sectors as an instrument of state policy, will be put into private hands. Since its inception until late last year, the Green Investment Bank kept a stable, simple and flat corporate structure. When, in March 2016, George Osborne gave his last speech as Chancellor, there were only 14 companies registered on the 13th Floor of Millbank Tower, incorporated over a number of years. But by the end of December, that number had doubled, with 14 new companies created since September – when Macquarie is reported to have become the preferred bidder – and 10 in less than a month at the tail end of the year. This rapid proliferation of companies could mean a number of things, but it’s worth noting that the move focuses on the GIB’s most valuable assets: its offshore windfarms. Companies House data shows a clutch of new corporations in the names of the Galloper, Rampion and Westernmost Rough wind power projects. Along with those assets, each of which is valued at hundreds of millions of pounds, Macquarie may also be looking to sell the GIB’s financial services division, which holds three further offshore wind farms. Financial experts privately told Unearthed that a company with this structure would be ripe for a sell-off. If the bank has been sold under-value it could be an easy way for the buyer to turn a quick profit. But exactly what it means depends on the buyer’s plans. Which brings us to the group tipped to buy the GIB: Macquarie. The Australian bank is known in financial circles for behaving aggressively in order maximise the value of its investments, with the board at the London Stock Exchange refusing a 2005 takeover bid, and a source at the time referring to it as “purely a financial asset stripper”. It acquired the name ‘Vampire Kangaroo’ because of its reputation for ruthlessly extracting value from businesses it owns — returning the profits to its shareholders. In recent years the bank has gone on an acquisition spree in the UK, buying up large parts of the country’s infrastructure, including Thames Water. It has a particular focus on energy as well, having led the consortium of investors that bought the UK’s gas network late last year. The group is involved in fracking in the UK as the largest shareholder of would-be shale explorer Hutton Energy, as well as a major funder for iGas. It also shares a number of co-directors with Calon Energy, which owns 3 gas plants and has plans for more.